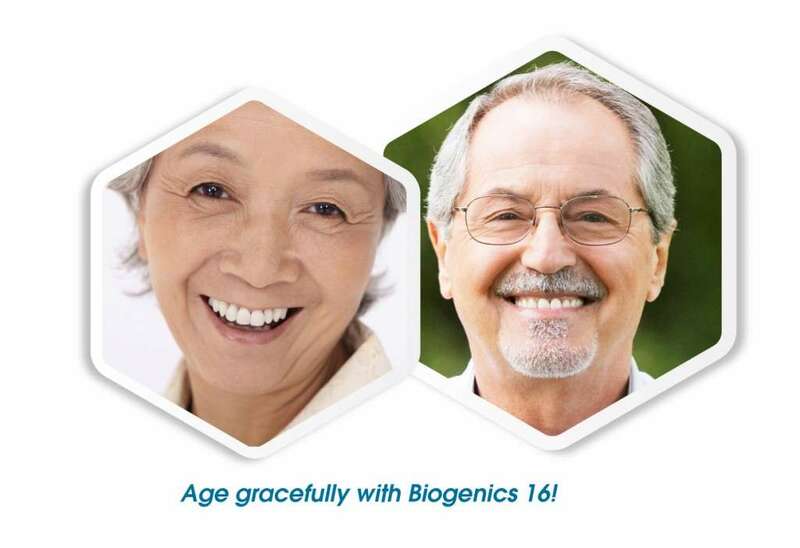 Age gracefully with Biogenics 16! Supporting the body’s balance of good bacteria can help to maintain healthy digestion, a strong immune system, and overall vitality – especially in the elderly. Research has demonstrated a crucial role of good intestinal bacteria in the prevention of chronic disease. Consumption of LAB fermented extract helps to reduce insulin resistance and glucose sensitivity that could prevent onset diabetes and hypertension or assist in treating both conditions. Researchers also concluded that the greater the amount of beneficial bacteria and the diversity of those species, the better the protection against cardiovascular diseases, diabetes and chronic inflammation. On the other hand, people with lower beneficial bacteria had more adipose tissues and are more vulnerable to diabetes, chronic inflammation and cardiovascular diseases. By taking LAB fermented extract everyday, the risk of chronic disease may also be reduced. Research have also indicated that increased amount of beneficial bacteria in intestines may help to treat rheumatoid arthritis and ease joint pain. LAB fermented extract appear to have anti-inflammatory effect in which it reduces the common biomarkers of inflammation, including C-reactive protein.